Before getting started with the topic of today, let’s first talk a bit about the visible light present around us. Why is it important for us to know the advantages and disadvantages of this light? 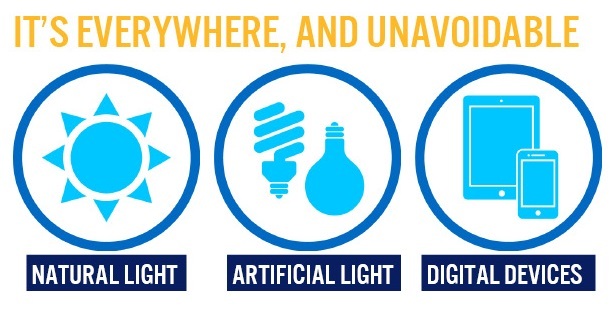 Yes, you read it right, light is everywhere around us and just like all the other things in the world, light also comes with a few pros and cons for us humans. The visible light around us is a mixture of different colors that include indigo, yellow, green, red and blue etc. According to by Wikipedia, now, among all the other lights, the color that needs our attention the most is the blue light. Again, if you study the nature of visible light and how it works, you will know that there are different wavelengths for each of the light. As a result, one of the shortest wavelengths is the blue light. Now, this is where all the problem begins. Blue light is the most dangerous light because it has the shortest wavelength which makes it extremely powerful and can cause various headache and eye pain problems. This powerful light is not good for the human eye because our eyes are unable to filter the blue light. What actually happens is that when your eyes are exposed directly to the blue light it starts becoming a threat to your vision. The major source of blue light is the Sun and it has equal harmful effects on the human beings just like the UV light. This is why it is highly recommended for you to wear sunscreen and sunglasses everytime you go out under the Sun or even use a screen eye protector app. Now, even the Sun is not the major problem as blue light is not as dangerous as the one coming out of our screens is. 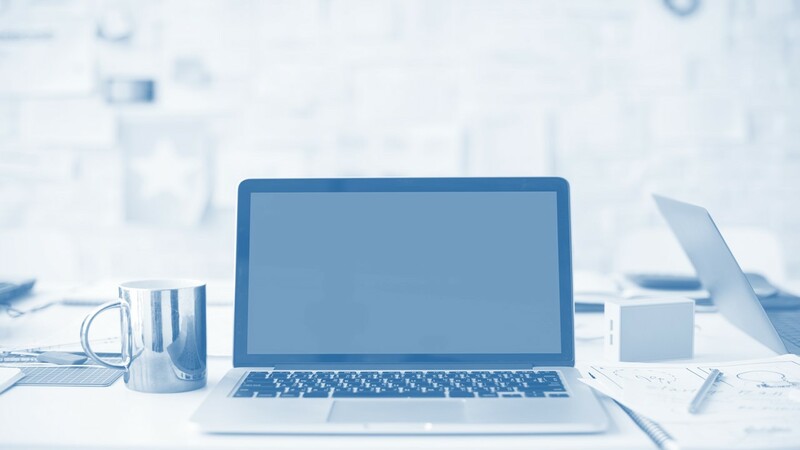 The other major source of blue light are the screens of the digital devices that we use on daily basis and this exposure is what’s damaging our eyes continuously resulting in sharp pain in the eye. 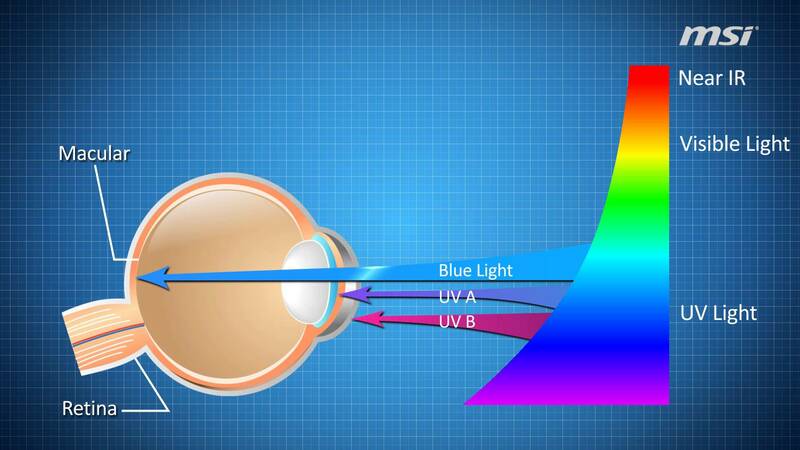 As said earlier, the human eye is not able to filter the blue light. 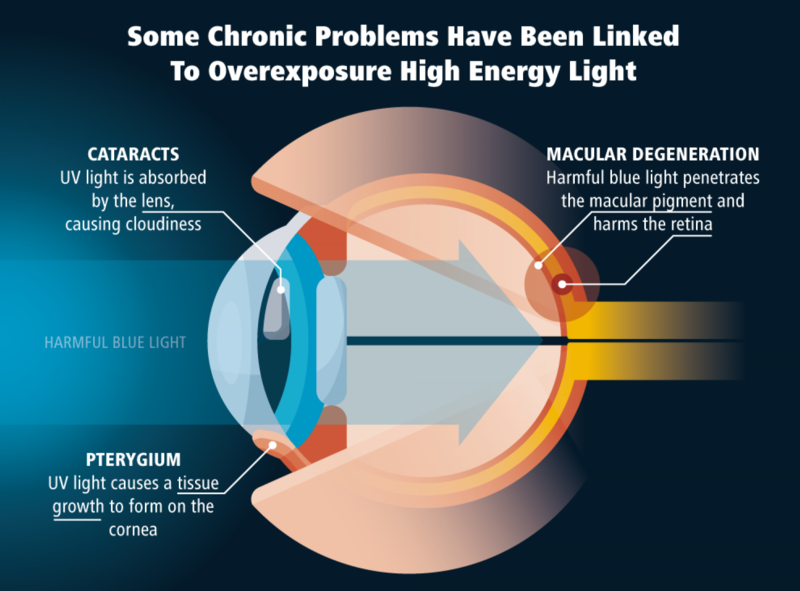 This is because this light goes straight up to the retina of your eye and hits it which causes the major damage. How Can You Protect Your Eyes? Not a lot of people talk on this topic but now is the right time to do that because prevention is better than cure. Every optical disease can now be cured but why damage your eyes in the first place? Now, we all know that this is the digital age and right now one cannot survive without using phones and laptops. However, there is one thing that you can do. You should download and install an amazing anti-blue light filter on your phone and laptop – that amazing filter software is Iris. 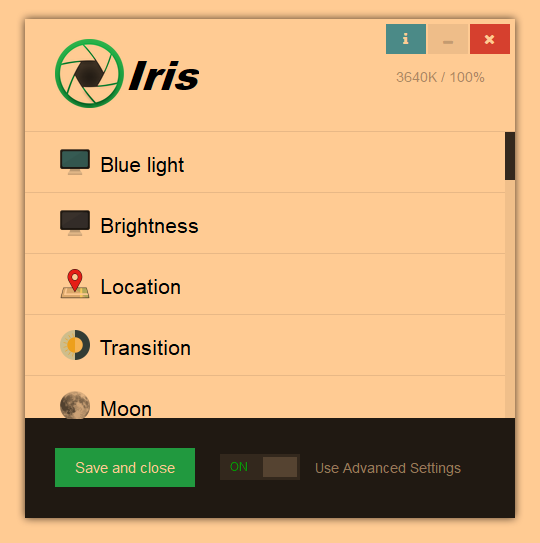 Iris is pretty much the best blue light software you will find on the internet. Once you start using it, you will see the results on your own. The sole purpose of Iris is to protect your eyes from any kind of damage done by the blue light. This software is basically a blue light screen brightness dimmer that blocks harmful light from reaching the human eye. As a result, you will never have to face an eye pain or eye stress and strain ever again. There are thousands of people using this software at the moment and the reviews are pretty good. 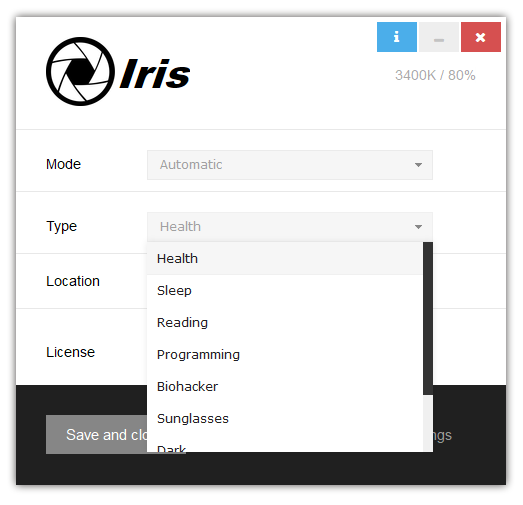 The best part about this Iris software is that it helps you in getting a good night’s sleep. With this low blue light software, you won’t ever complain about not sleeping at night because again, it prevents, stress and strain.